Keeping a finger on the pulse of your credit will pay off for years to come. Sometimes a little mystery can be a good thing. For example, mystery in a new relationship or in the calorie count of that Oreo milkshake can serve you well. Unfortunately, mystery isn’t such a good thing when it comes to your credit score. Credit history is a major player in your ability to get a car loan and mortgage. For many people, the factors that impact their score (and sometimes even the score itself) are unknown. We help take the mystery out of what a credit score is, what the ranges look like, how your score impacts you and how you can improve your score. You may have heard of FICO, VantageScore, Experian, TransUnion, Equifax and the list goes on. The fact that there are multiple credit bureaus and credit score types out there doesn't help make your credit history easier to understand. Even though there is a wide range of scores floating around, at least the meaning of your credit score stays fairly consistent. It is the number rating your credit history is given based on the risk the lender takes on by offering you a loan. Something most people don't realize is credit scores aren’t constantly stored as part of your credit history. Every time a lender requests your credit score, it is generated based on the score type they choose. There are 3 major bureaus that keep tabs on everyone's credit history in the US. These 'big three' are Experian, Equifax, and TransUnion and each one maintains their own credit score rating system. You've probably seen 'FICO' used more often than other score types and there's a reason. The credit score rating system was created by the Fair Isaac Corporation (FICO) and it is still the most widely used score among lenders. First, determine what category your score falls into, then see what it means for you. Because FICO is the most commonly used type, we'll zero in on the categories for this credit scoring system and what they mean to you as a borrower. With FICO, scores of 670-739 fall into the good range and anything above 800 is exceptional. Loan applicants that fall into the 'exceptional' range will be at the top of the list for lenders and should have no problem getting a loan with a very good rate. Those that fall under the 'very good' category will likely get better than average rates. Those in the 'good' range will be able to get a good rate on a loan as only 8% of applicants from this group are at risk of becoming delinquent. A fair score (580-669) will be considered subprime and while it may be possible to get approved for a loan, the rates will not be as competitive as for someone who has better credit. Someone with a very poor (300-579) credit score may not be approved for a loan at all and if they are, they may be required to pay a deposit to mitigate the risk for the lender. After people find out their credit score, many wonder how their credit compares to the average Joe's. Since the end of the recession, average credit scores have been rising steadily. According to FICO, in July 2017, the nation's average score reached an all-time high of 700. No, we don't have an exact formula for you but understanding the variables is important. 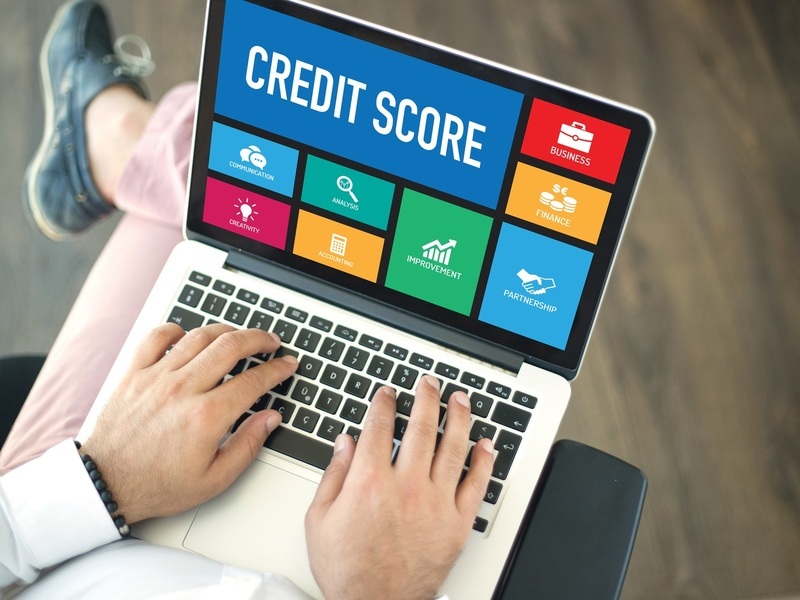 Although the credit bureaus don't reveal their exact formula for calculating credit scores, there are several factors known to affect credit. According to Experian, credit reports include payment history for loans and credit cards and also factor in late payments. How much credit you use and your total debt will be evaluated. Public records such as bankruptcy will be considered as well. Your credit score is also impacted by inquiries for your credit report. There are two types of inquiries: hard and soft. A hard inquiry is when you apply for a loan and the lender checks your credit report to determine if they should lend to you. This kind of inquiry can ding your score but the effect will lessen over time. A soft inquiry is when you check your credit or when a lender checks it to pre-approve you for a loan. A soft inquiry will not hurt your score. Your ability to get a car loan and mortgage will be influenced by your score. Your credit score will impact your ability to get a car loan, mortgage, credit card and even rent an apartment. When it comes to car shopping, having good credit allows you to pay less in interest which can significantly reduce the overall cost of paying off the loan. In fact, it can mean saving thousands of dollars over the lifetime of the loan. Having poor credit will make it more difficult to get a loan, but we know it's not always possible to put off buying a car until your credit improves. Some lenders may be able to work with you even with bad credit, but you should go in expecting a higher interest rate. If your score is currently in the "good" or better categories, congrats! Now that you're done celebrating, we're going to rain on your parade a little. Remember that your credit history is dynamic and you'll need to maintain your good habits to keep your score high. If you're in the fair or poor categories, improving your credit score will be crucial to getting the car or house you want. While it's not instant, taking the right steps over time will move the needle up on your credit report. We recommend the following practical tips to get started. First, you'll want to get rid of credit card balances and think about consolidating your purchases into one credit card. You'll also want to make sure you pay off your bills on time. The more late payments add up, the more your score will go the other direction (down). When possible, you'll want to pay more than the minimums on credit cards and other bills. This will allow you to pay off the debt faster and build confidence for the lender that you're capable of paying off a loan. For young car buyers, building up credit is important for getting an auto loan. In certain cases, credit scores can be impacted simply by not having enough credit built up. Many young adults run into this problem when buying their first car. If this is your challenge, you'll want to use credit cards regularly for everyday purchases and pay them off on time. Finally, there may be errors in your report which is why it's important to stay on top of it. No one is perfect, not even credit bureaus. Make sure you check your score regularly and notify credit correction services to fix anything that looks off. If you didn't pay much attention to your credit score in the past, you're not alone. It's better late than never to get on the right track, and now that you understand how credit scores work, you're that much closer to an exceptional score.